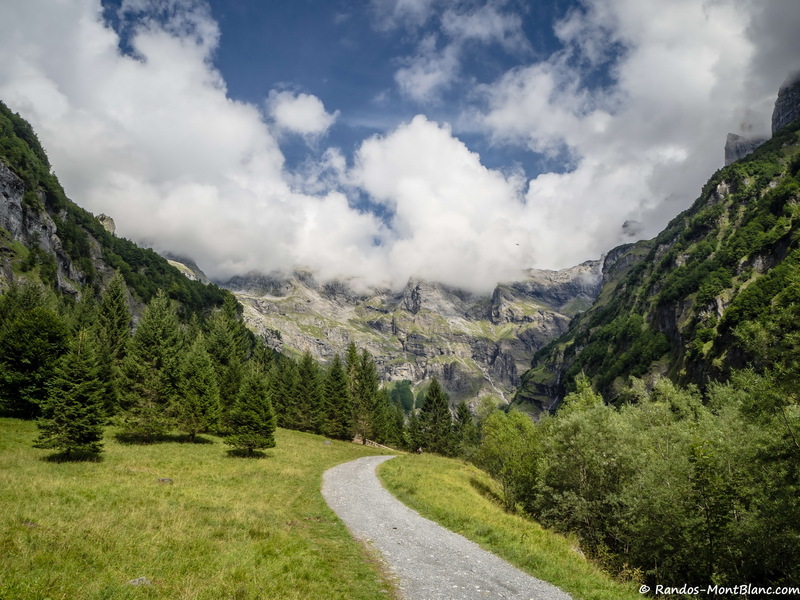 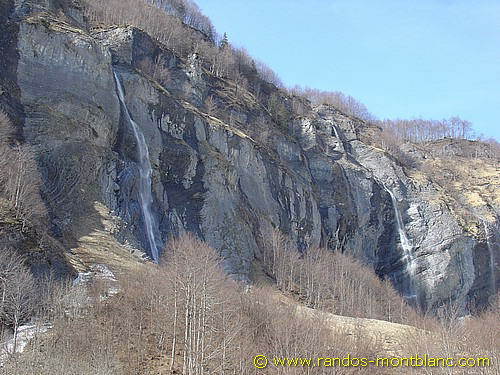 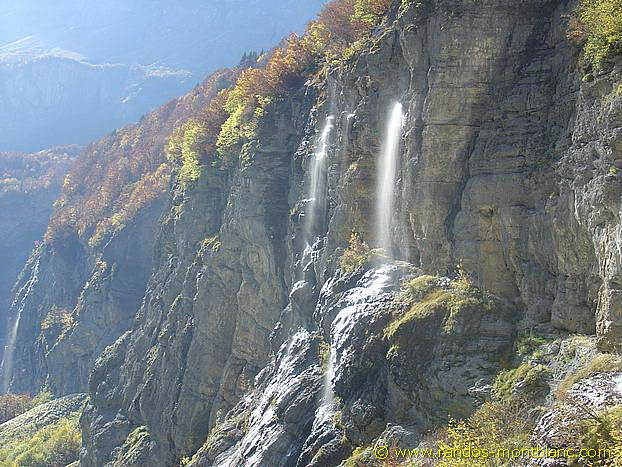 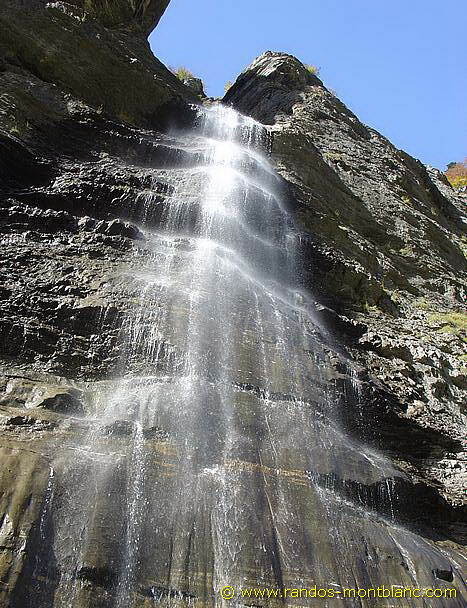 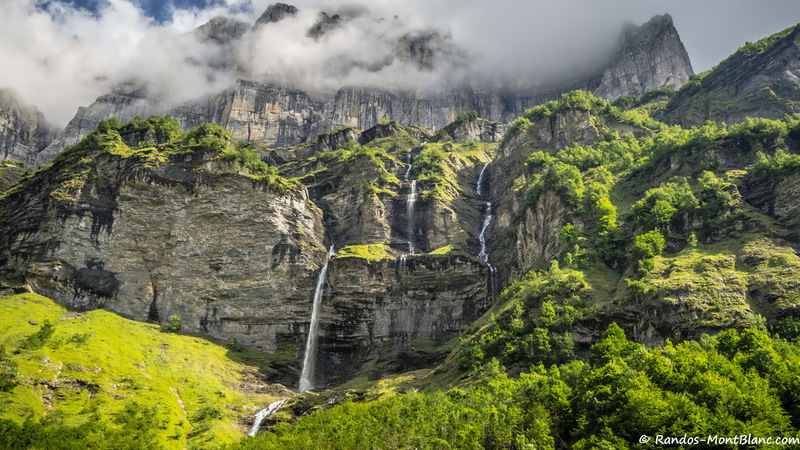 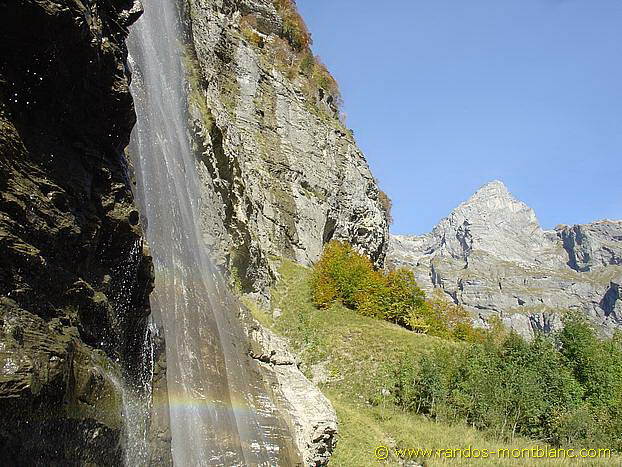 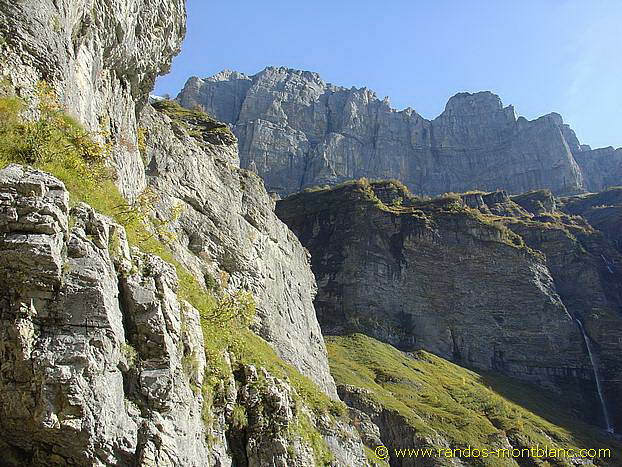 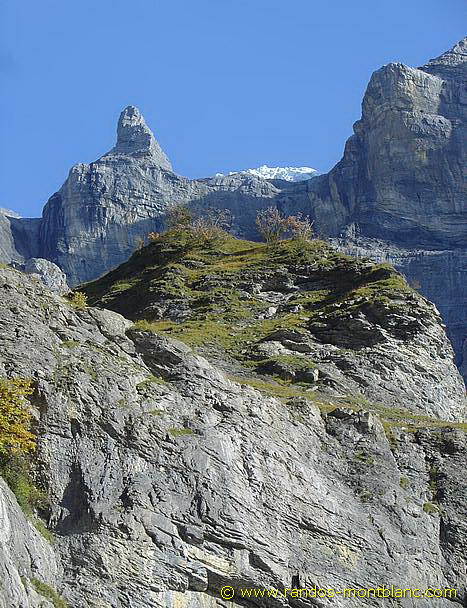 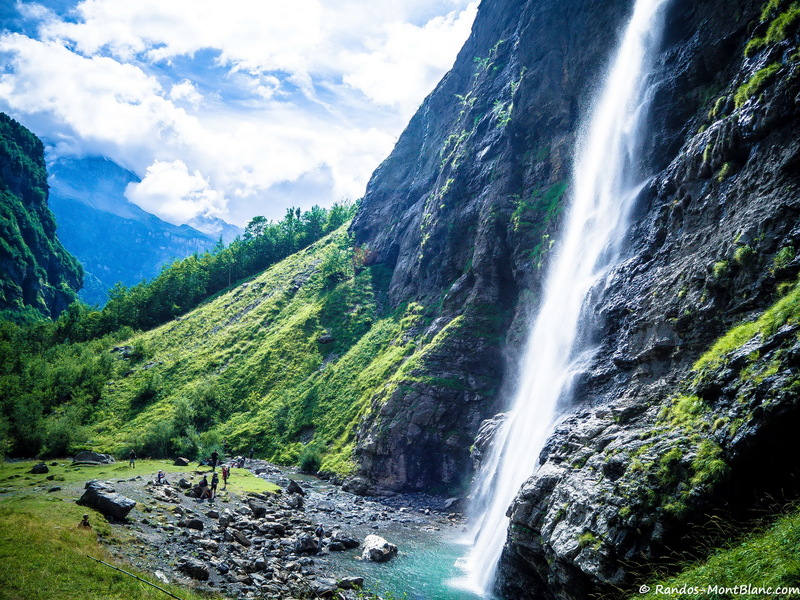 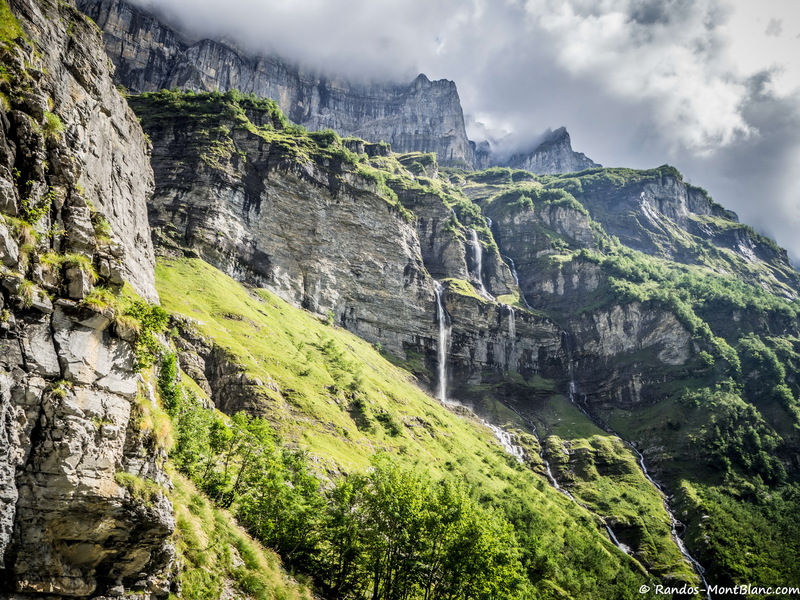 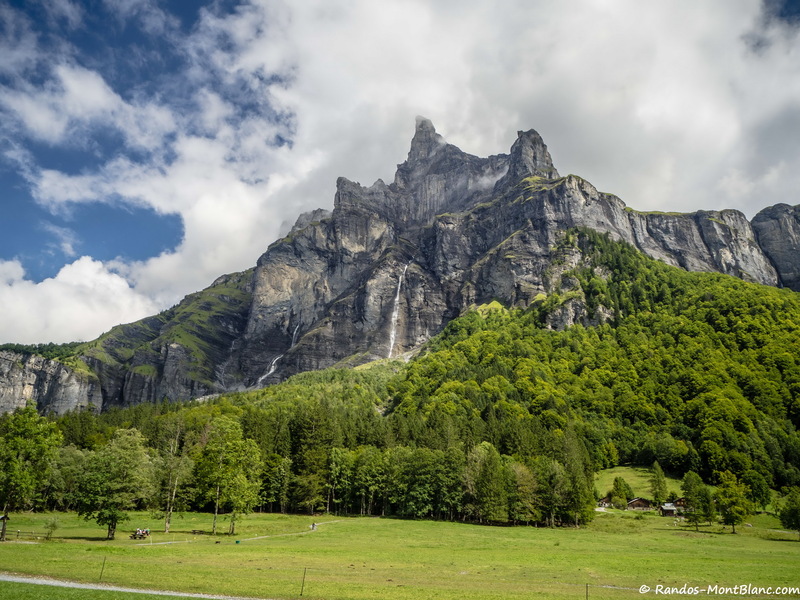 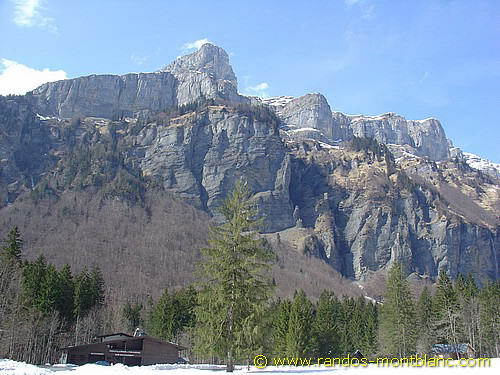 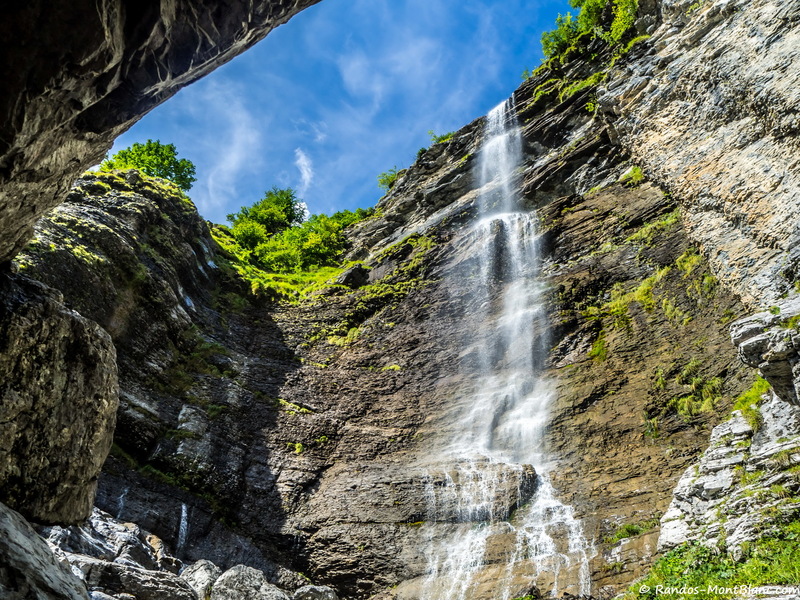 Cirque du Fer-à-Cheval, located in Sixt, is an immense corrie of two kilometres in diameter delimited by imposing limestone cliffs from which spring many waterfalls. 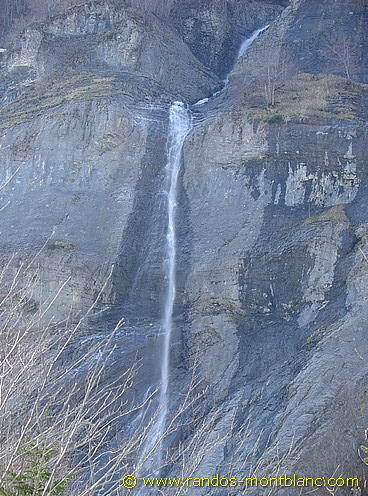 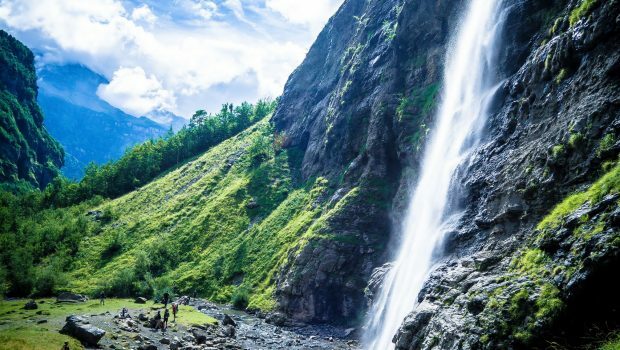 There are twelve in the summer, but it is in fact about thirty of these waterfalls that one can admire in the spring when the snow melts. 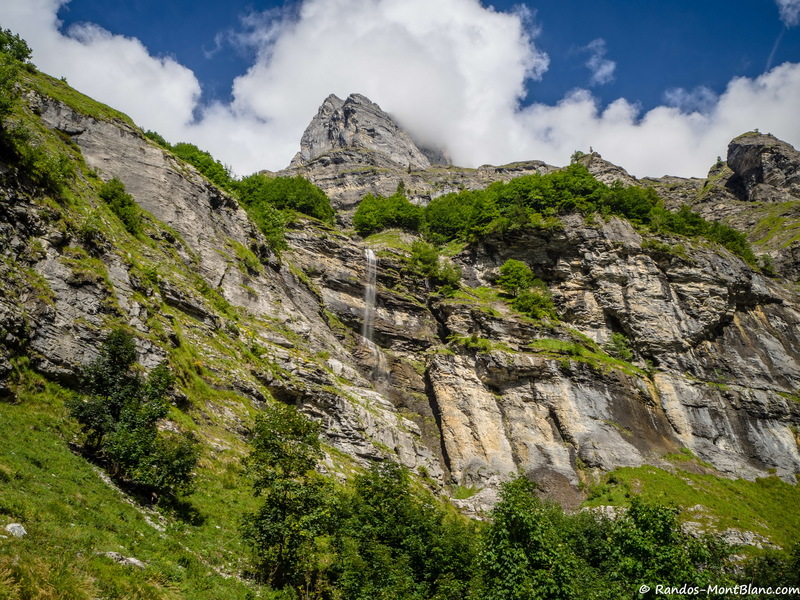 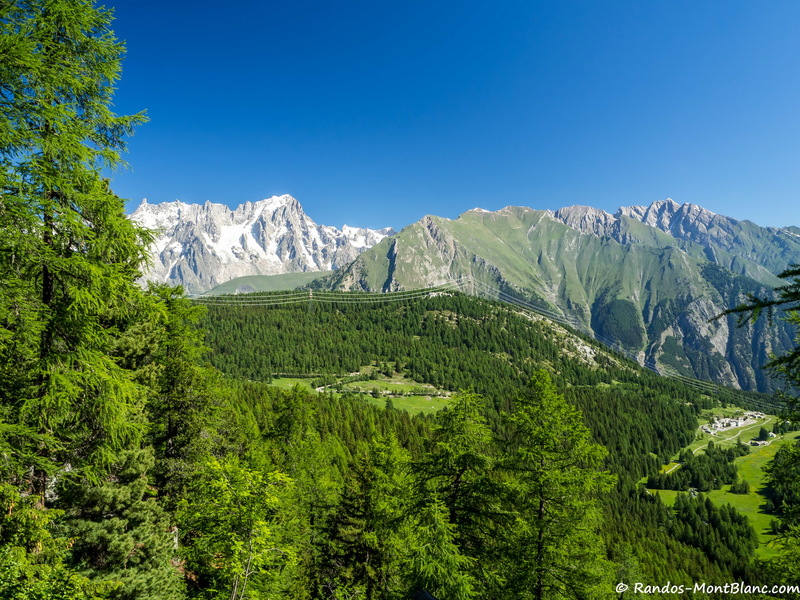 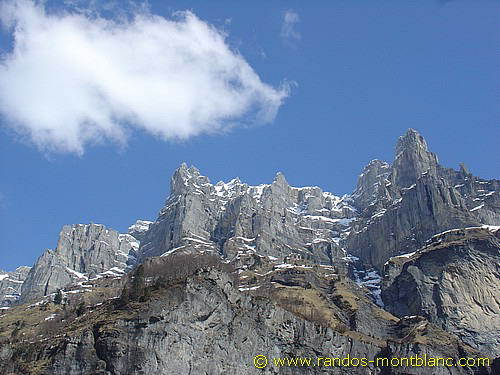 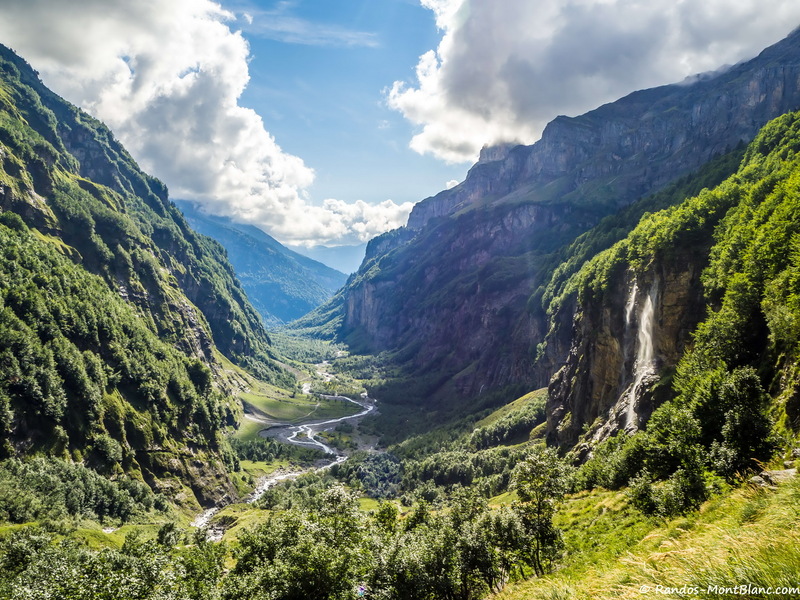 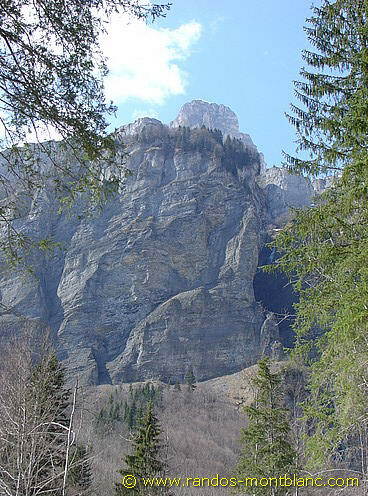 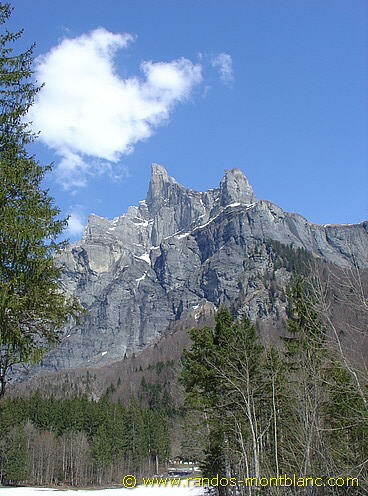 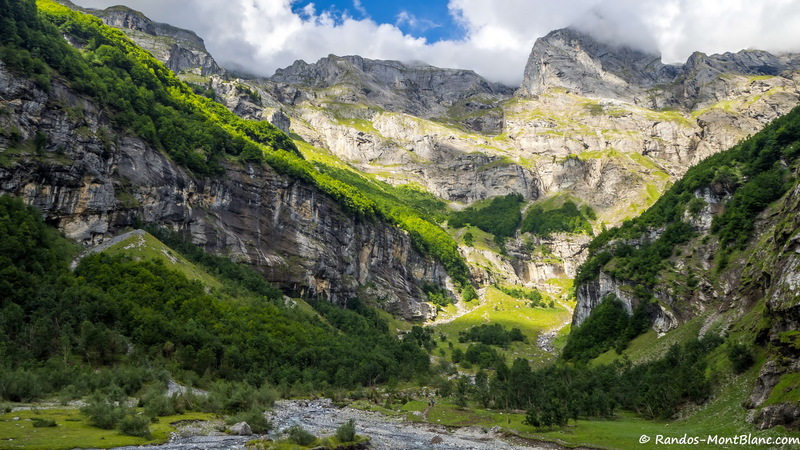 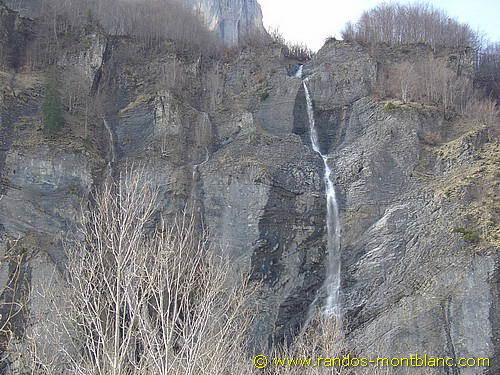 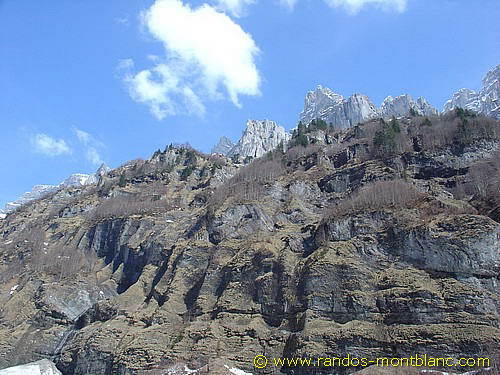 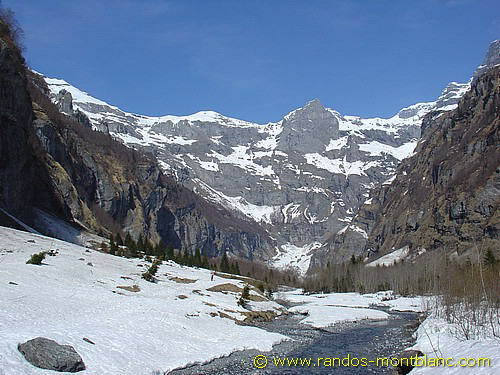 The Fer-à-Cheval is part of a nature reserve, and it is not uncommon to discover, clinging to the vertiginous cliffs, several ibexes, as well as marmots that warm themselves in the sun down in the valley. 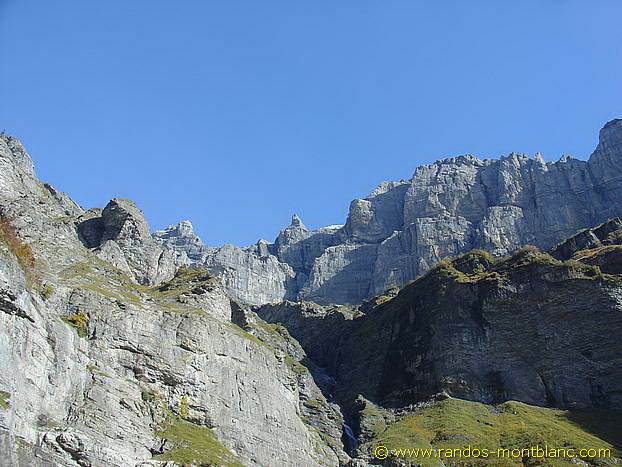 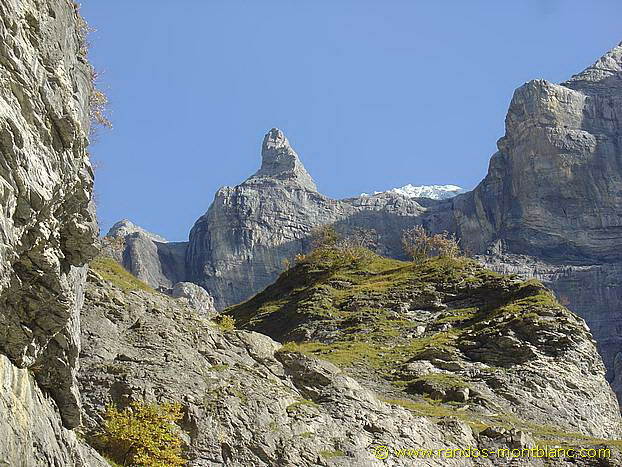 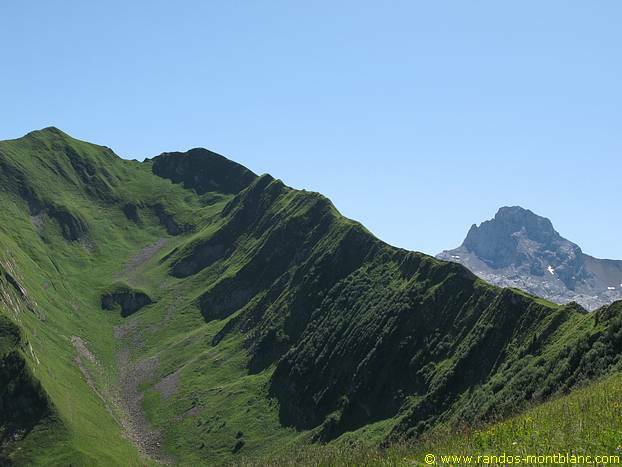 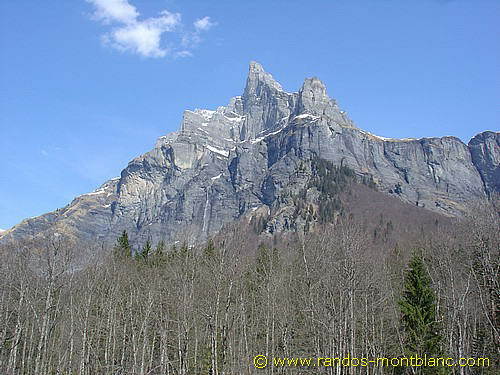 Pic de Tenneverge (2989 m) and Tour du Prazon (2929 m) dominates the hiker during the greater part of the itinerary. 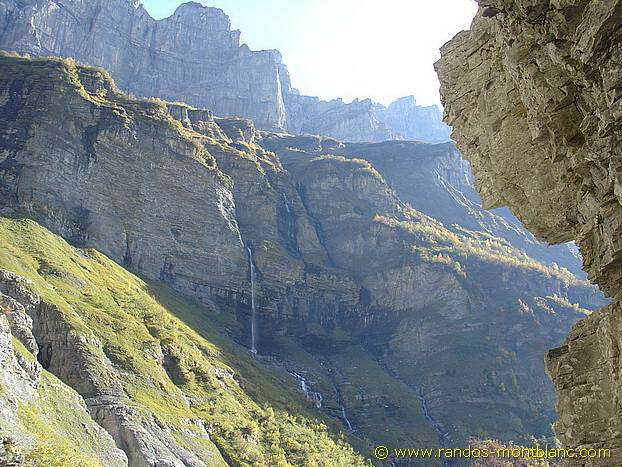 The outing that I propose is easy. 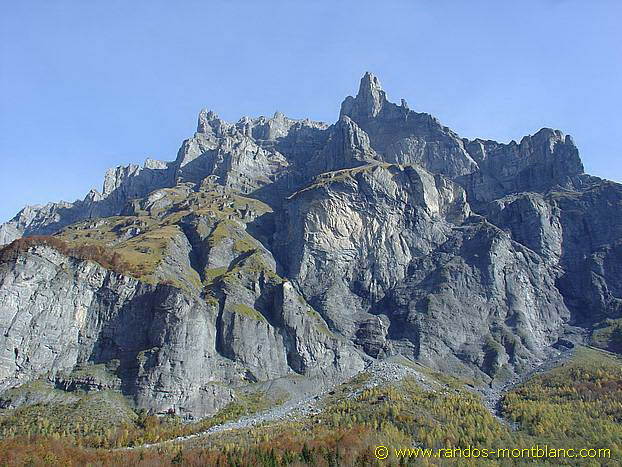 The only difficulty is the steep ascent over a hundred meters to reach Le Bout du Monde. 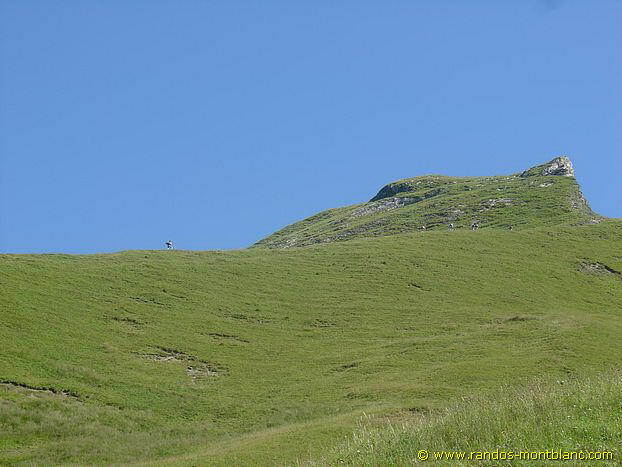 But you can indeed stop before, as the beauty of the landscape is already sumptuous throughout the course. 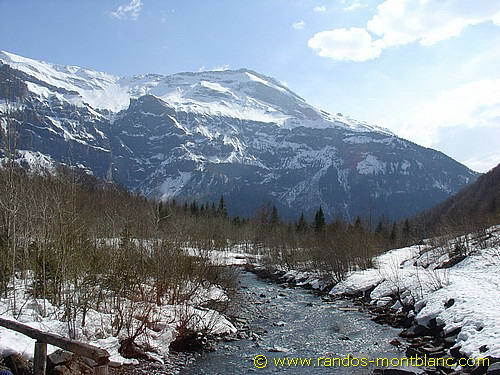 However, be careful: depending on the season, fording the numerous streams is not always easy. 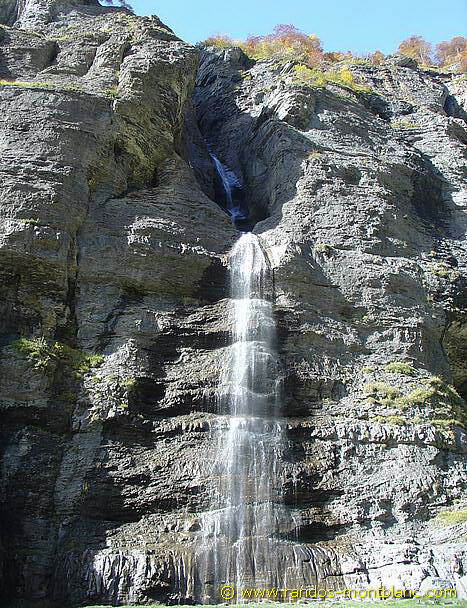 Therefore, I recommend that you take spare socks in case. 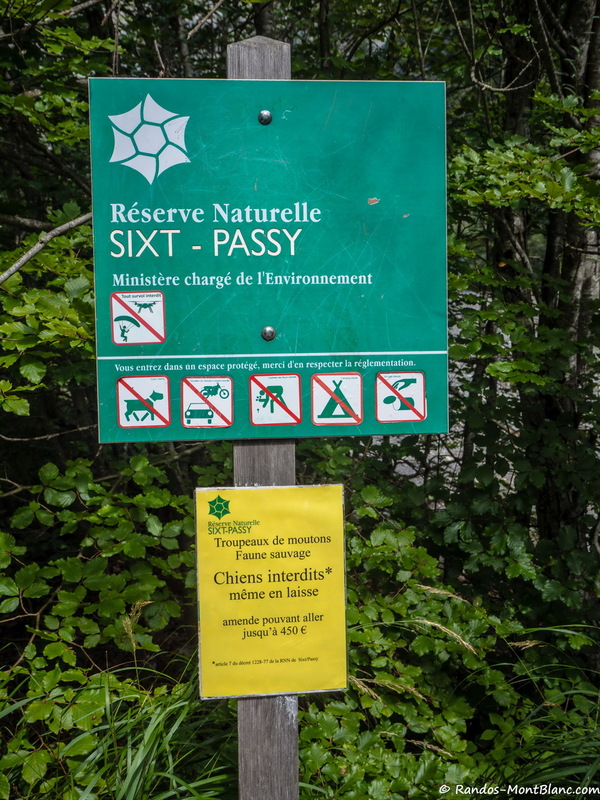 Restrictions : Dogs (after the Chalet du Prazon) and gathering prohibited. 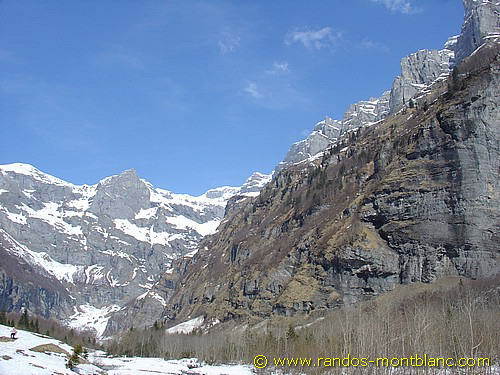 Bivouac allowed between 7 p.m and 9 a.m.
From Samoëns, take the D967 towards Sixt-Fer-à-Cheval and drive for about six kilometres to reach Fer-à-Cheval’s car park. 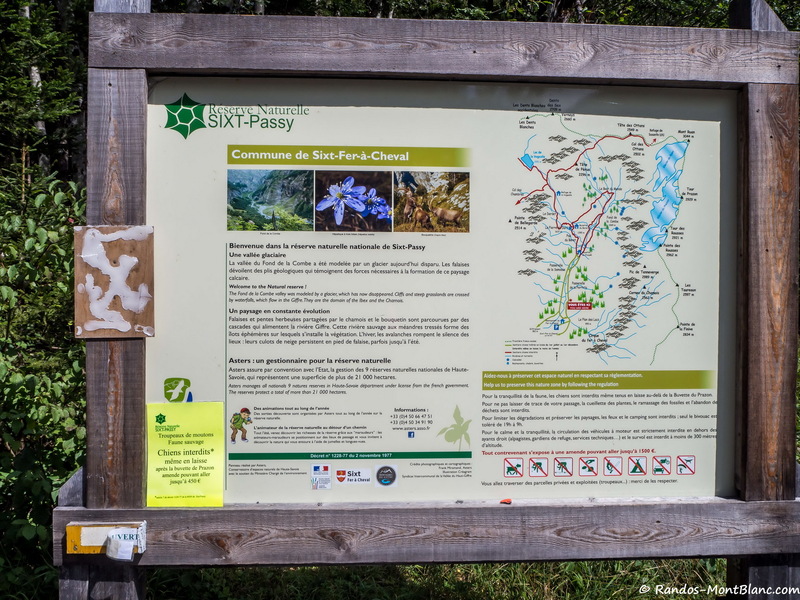 Parking costs four euros a day, but this one dispenses the hiker with an approach walk of about three kilometres to reach the starting point. 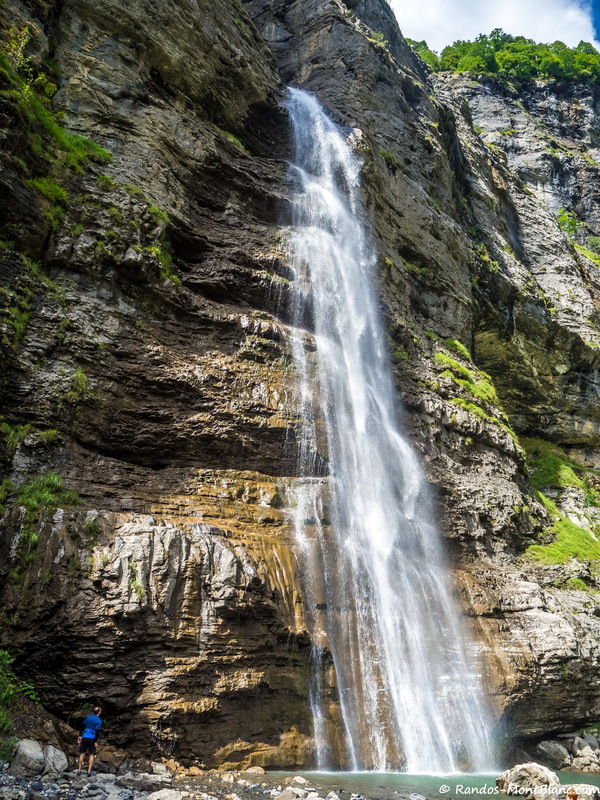 Also, an explanatory brochure on the site is provided with the ticket purchase. 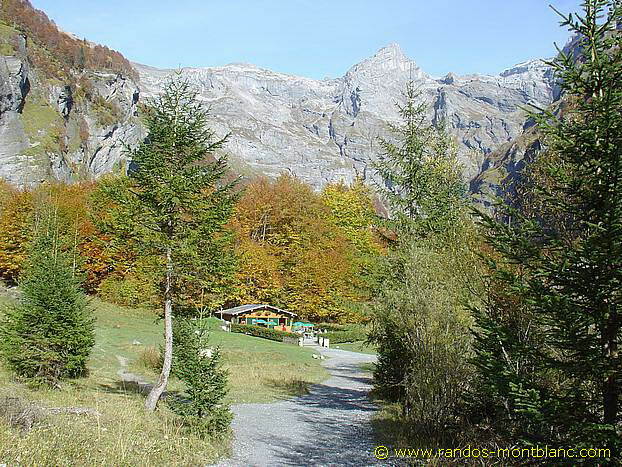 From the car park, take the marked path going towards the “Bout du Monde”, which starts on the right-hand side of the chalet. 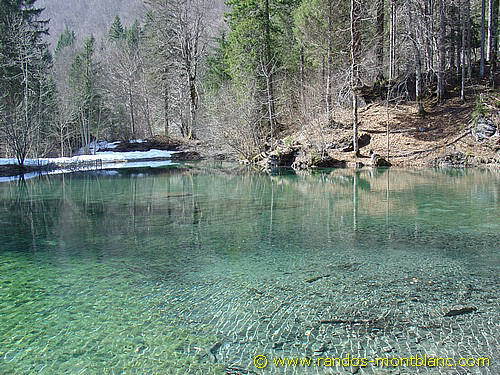 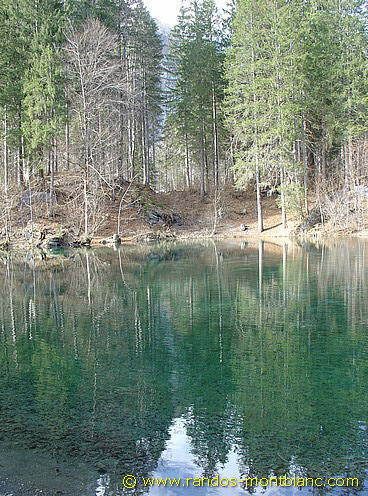 After about ten minutes and a small steep climb, you will arrive on the left of a small pond whose transparent waters allow you to discover many trout. 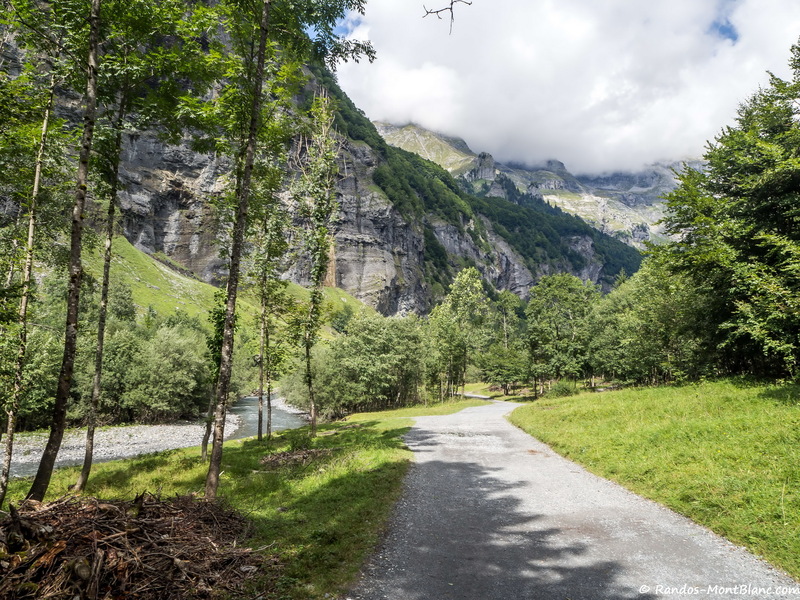 Continue along the path that leads into the forest, then cross a wooden bridge to reach the Chalet du Prazon further along the Giffre river. 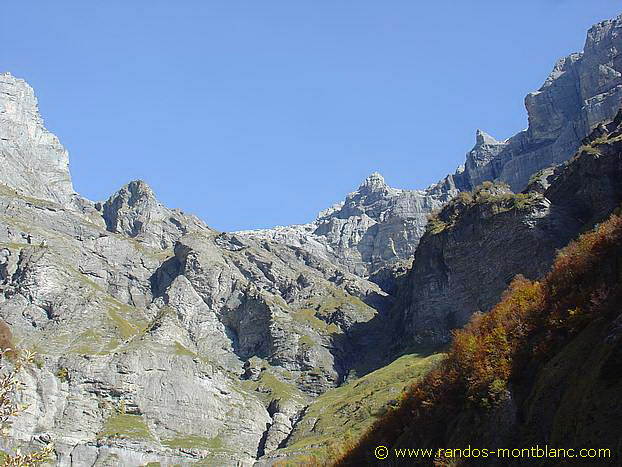 Continue then in the direction of Le Bout du Monde, leaving on the left the path that leads to Lac de la Vogealle. 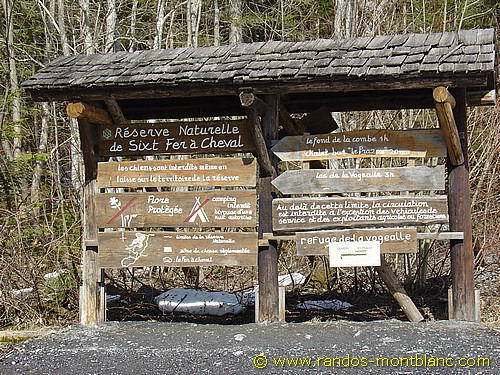 Notice to the right in front of the chalet the small bridge that you will have to take on the way back. 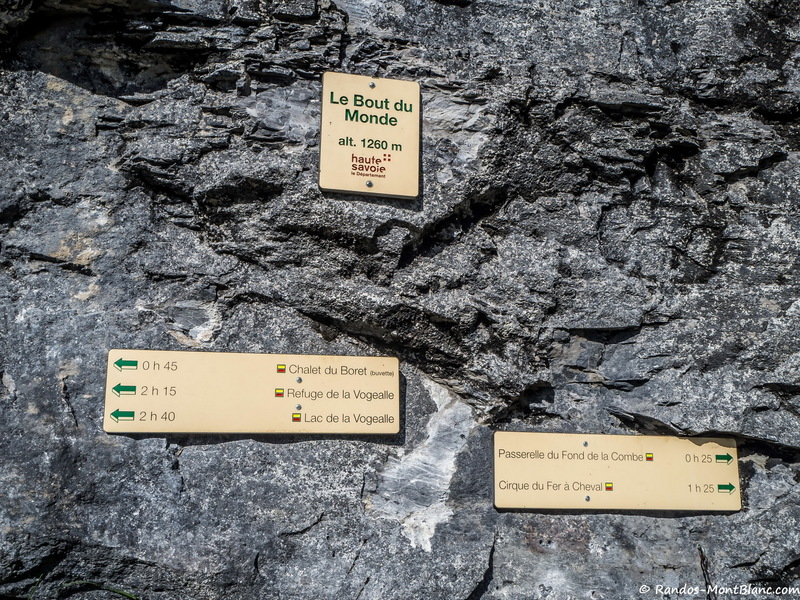 After about twenty minutes of walking, the Bout du Monde is reached. 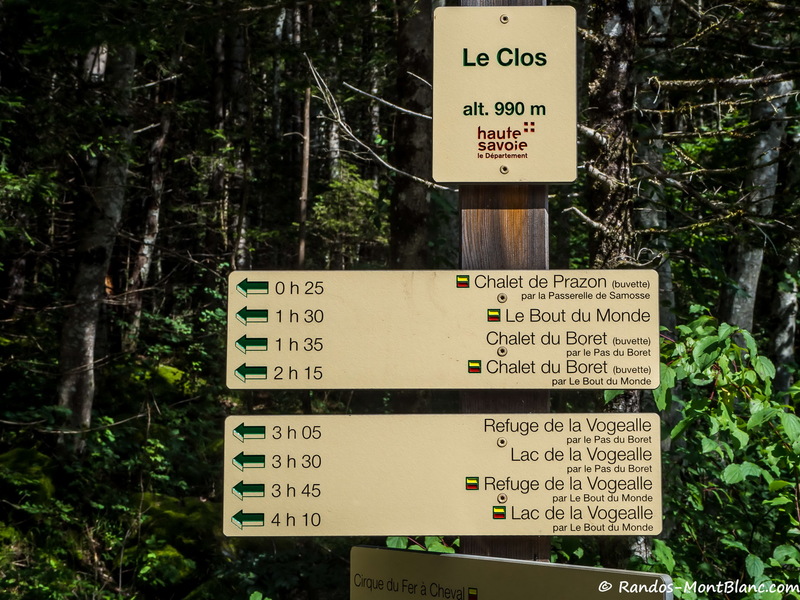 Go back to the chalet and start the return journey by taking the same path to the chalet du Prazon. 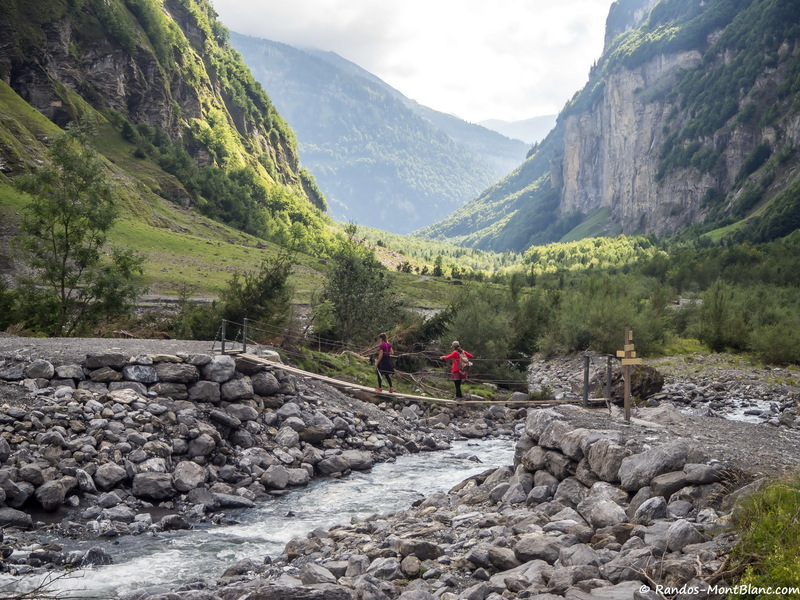 Then, turn left on the small wooden bridge to go along the Giffre river on the other bank, and further, reach the car park and the Chalet de la Reserve. 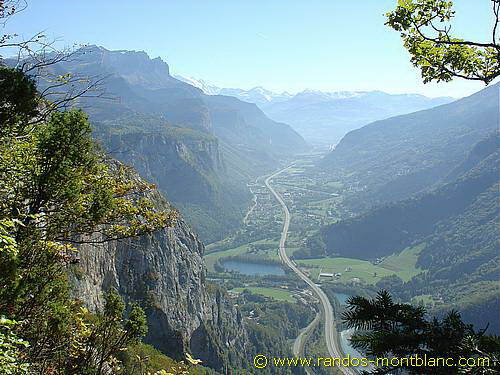 Pierre-Alexandre I'm a 26-year-old Swiss Urban Planner and Geographer. 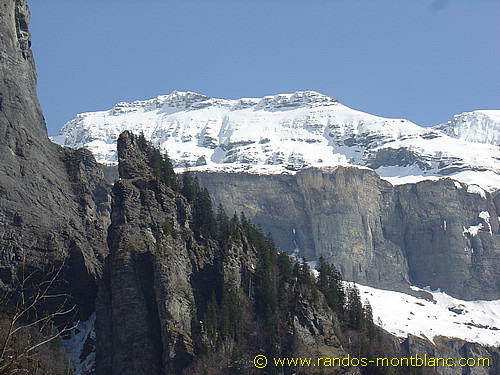 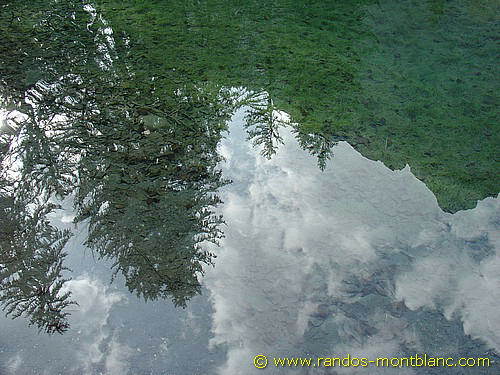 Fond of mountains and hiking since my very childhood, I founded Randos-MontBlanc.com in 2001 to share my passion with mountain enthusiasts.